For my first wedding anniversary a few years ago, my husband and I went on a hot air balloon ride over Omaha. It wasn't actually his idea, we went with family. But he gets romantic date points anyway since I didn't have to plan it! I took lots of pictures, and my first grade students love to hear the story of my adventure. They are always curious about how the balloons work and how they land. We practiced drawing the shapes of hot air balloons and then used the lines we practiced last week to create patterns. 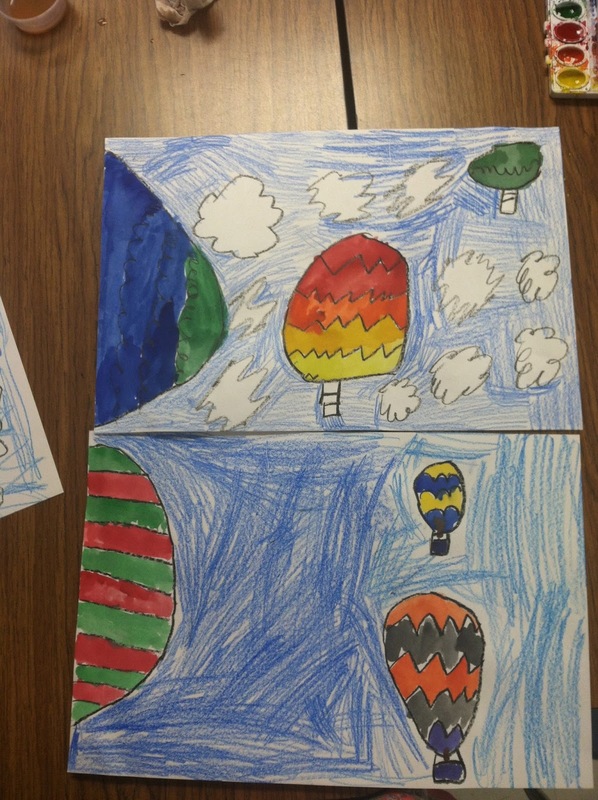 We also touched on using different sizes in our picture to make balloons look far away or close up. During the first class we drew and colored the background with crayons. 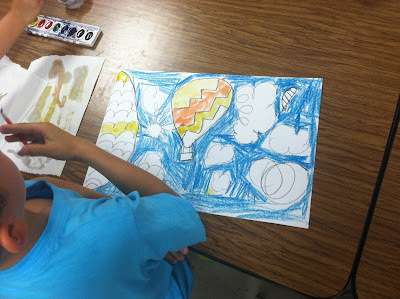 For the second class, we reviewed how to use watercolor paint in a safe and smart way. It's good to review best practices for each material in detail these first few lessons during the year. Paintbrush care is a good habit!